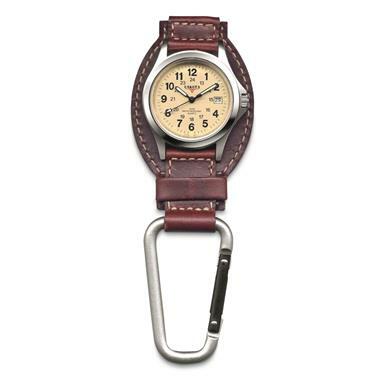 The nostalgic vibe of "checking your watch" is embodied in this Field Clip watch. 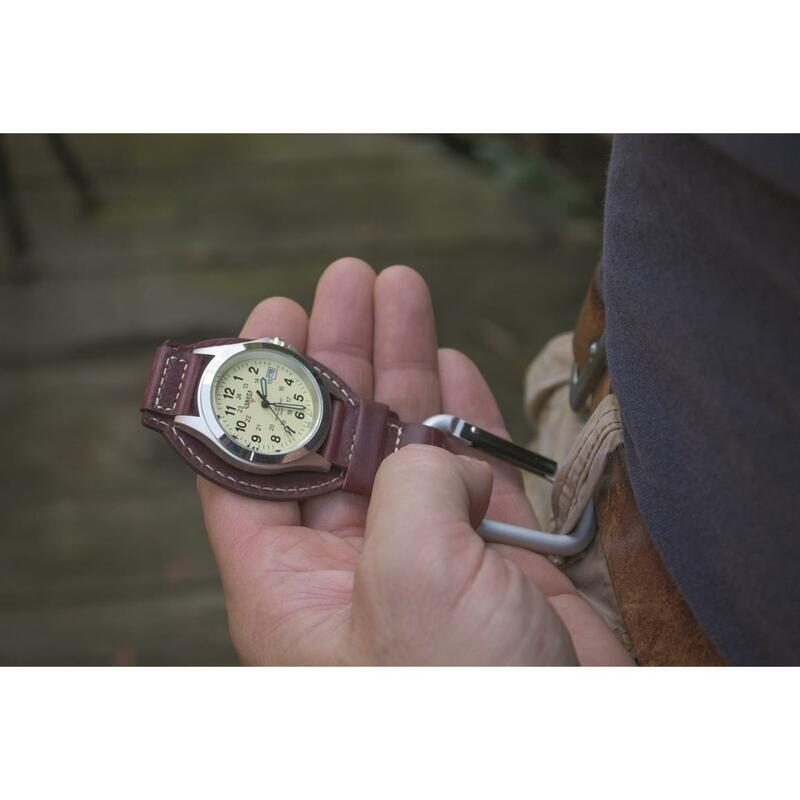 Genuine leather, oil-tanned for rich color, backs this stainless steel watch. 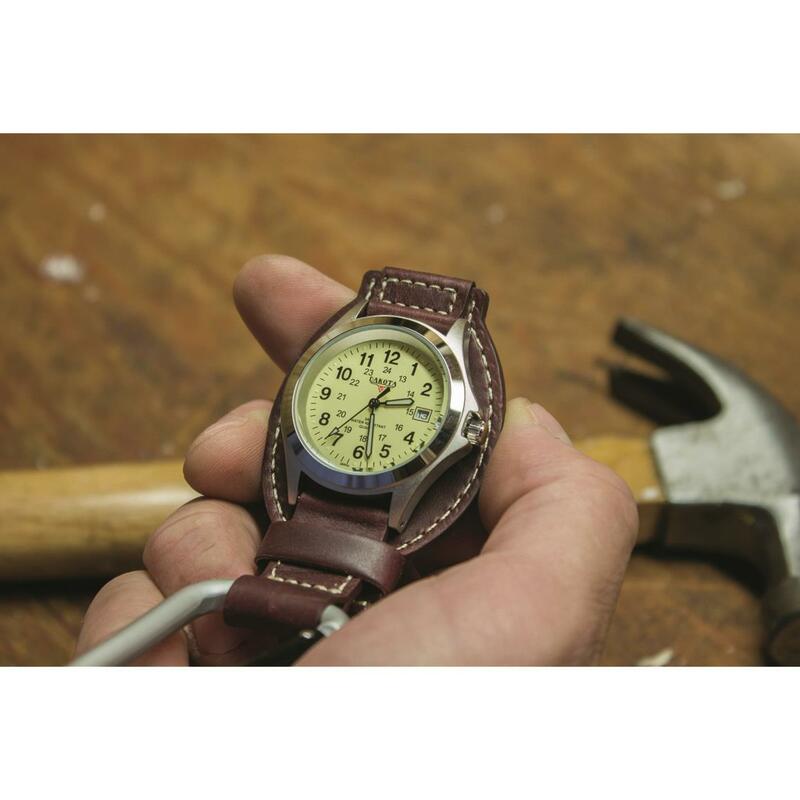 Japan quartz movement and luminescent hands/hour markers make for pristine operation and reliability day and night. Just clip it on your belt loop or to your bib overalls and complete the look. 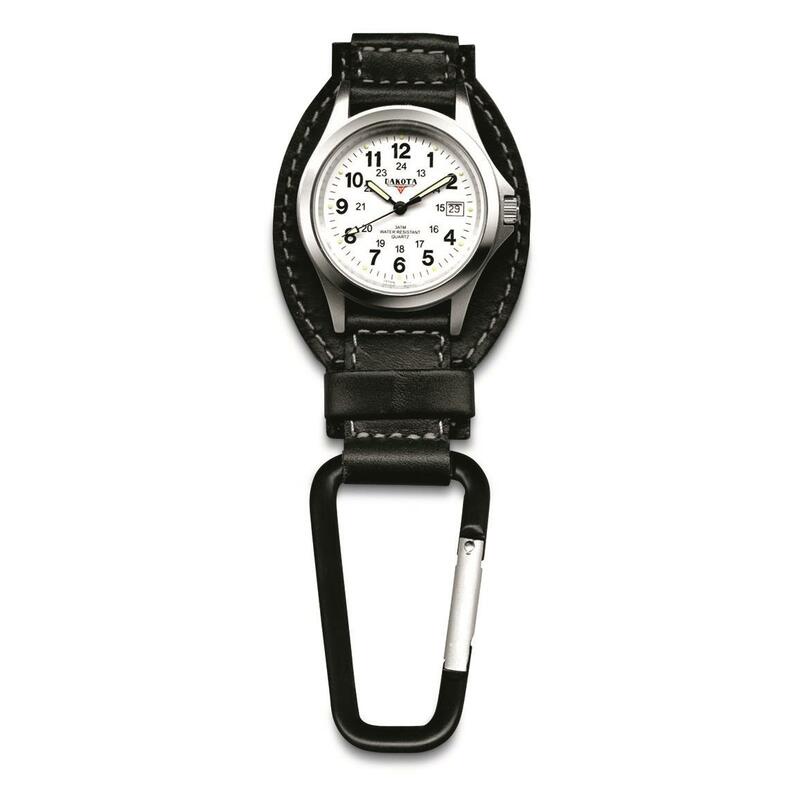 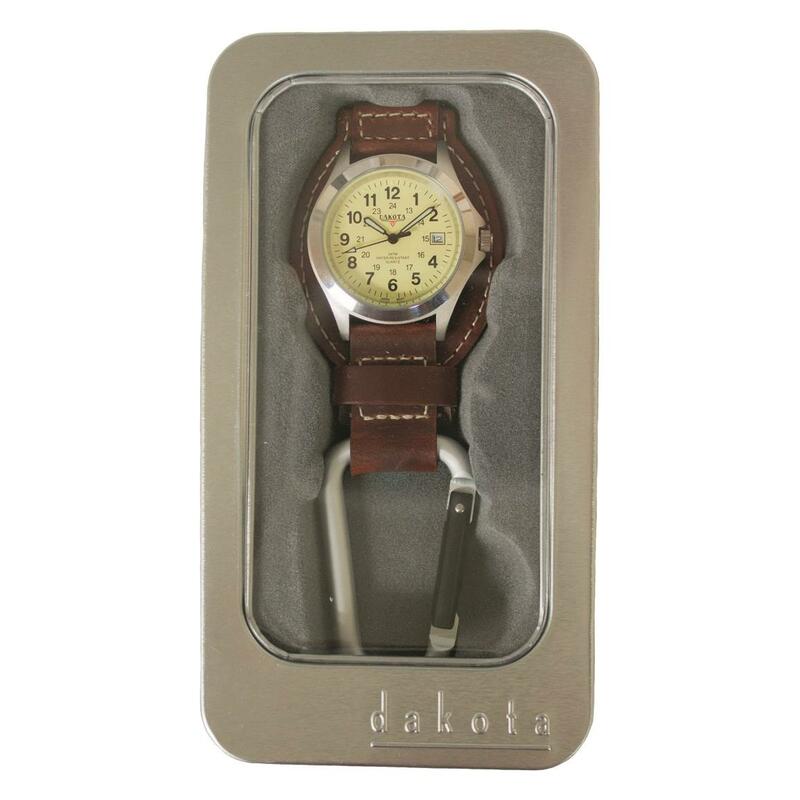 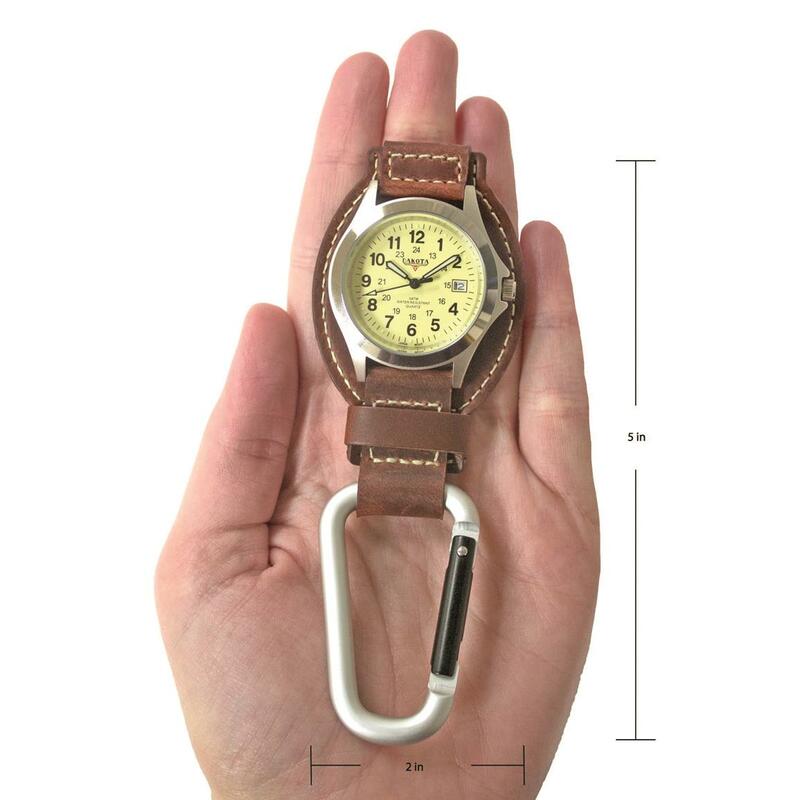 Keep this Leather Watch handy when you order today!